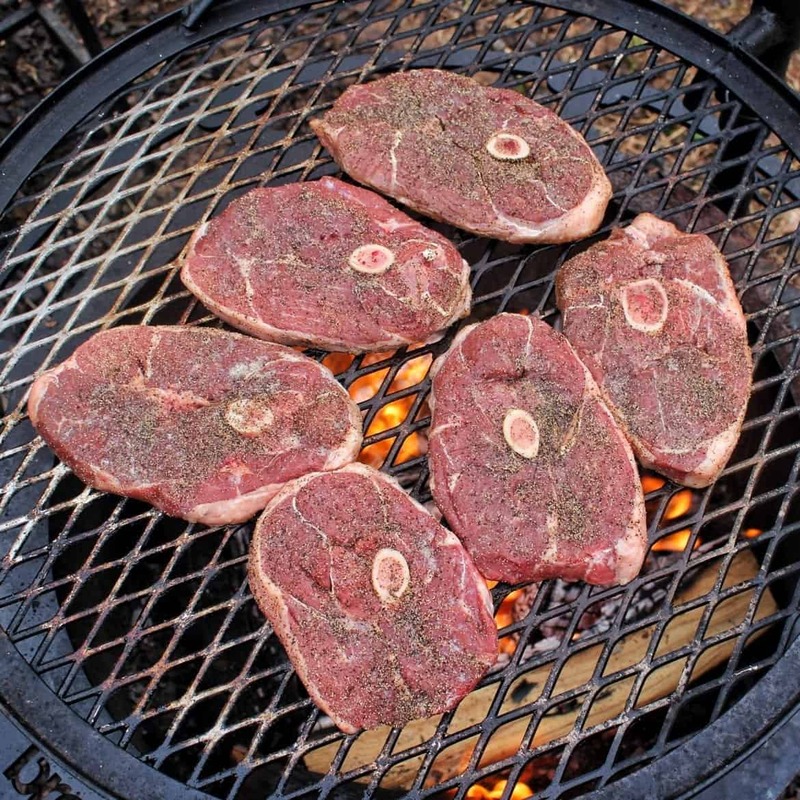 Cooking lamb steaks has become one of my favorite meats to grill over fire. A lot of people sometimes forget how delicious American lamb can actually be! It is not “gamey” or different tasting. It is hearty, zesty and full of great flavor! 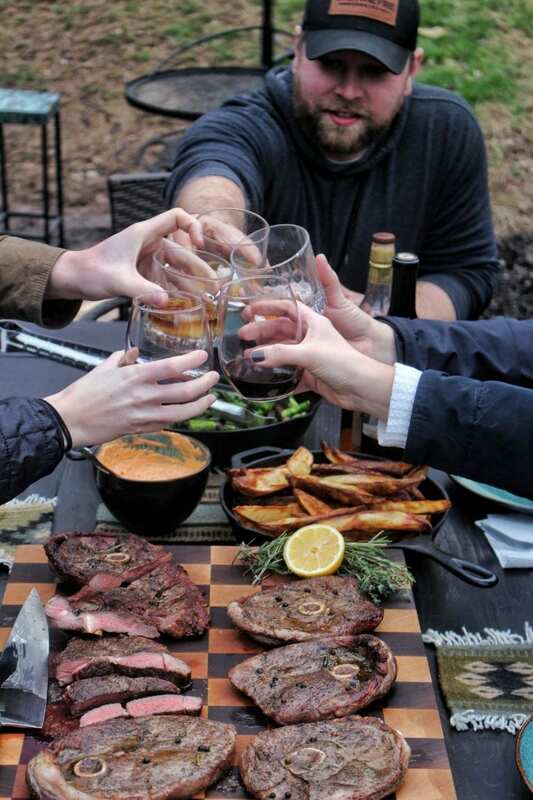 It just so happen to be Lamb Lover’s Month right now, so I invited some friends over to enjoy the wonderful flavor of American lamb with this Herb Butter American Lamb Steaks recipe. Grilled right over the fire and seasoning with only salt & pepper, this recipe is a sure fire win for those that long for hearty meat from the great USA. The twist with this recipe is the herb butter. You will make your own homemade herb butter sauce to go on top of the lamb steaks while they are resting. This zesty and tangy butter sauce will help the lambs natural flavors come to the forefront of the palate. A little bit of thyme, rosemary, garlic and black pepper are all combined into this herb butter mixture that you can honestly put on top of an cut of American lamb. After you lather the meat in butter, you will squeeze some lemon over top and slice into your steaks. Make sure to push out some of that bone marrow that is still inside the center bone of the meat. Add it to some of your bites for an extra kick in flavor as well! All in all, make sure to find some local American lamb and make this recipe with your family & friends! Grab some leg of lamb steaks and grill them over the fire with some herb butter sauce in this recipe! In a bowl, add all the ingredients for the Herb Butter and mix thoroughly. Place in fridge and let cook until 15 minutes before cooking. Pull out American Lamb Steaks and season thoroughly with salt & black pepper. 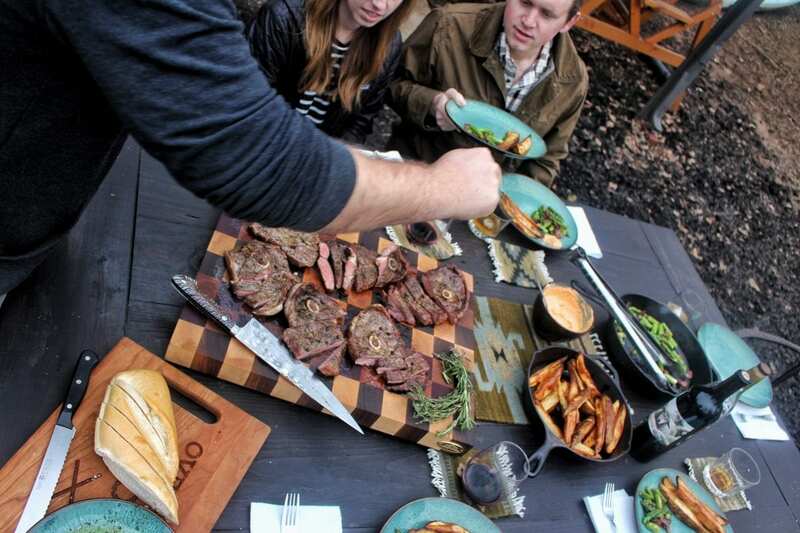 Build a fire in your grill or fire pit for direct cooking. Make at medium to medium-high heat. 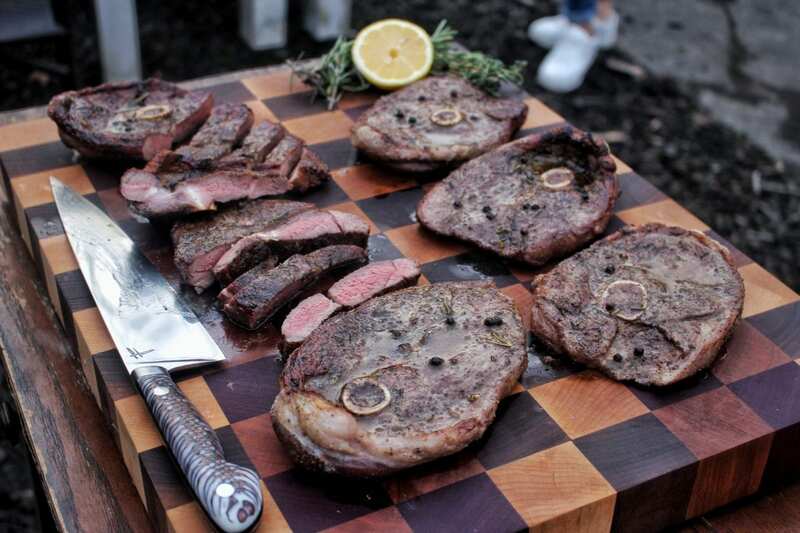 Place American Lamb Steaks on the grill and let cook for about 4-5 minutes per side or until the internal temperature hits 130-135F for medium rare. While steaks are cooking, preheat a skillet for the butter over the fire. Add butter to the skillet and cook until it is fully melted. Pull steaks off grill and brush Herb Butter over the top of them while they rest for 4-5 minutes. Squeeze some extra lemon juice on top, slice into steaks and enjoy! Equipment: Grill, wood, fire starters, small cast iron skillet, brush, cutting board & knife.